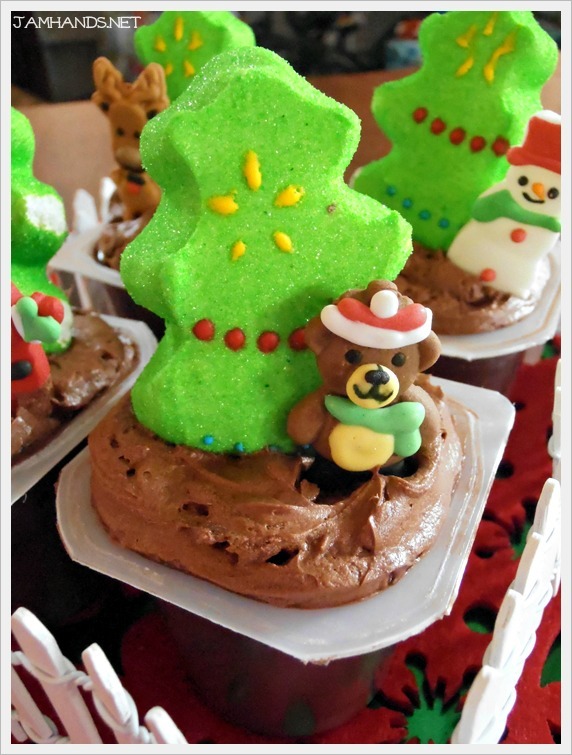 My original plan for these Christmas treats was to make a little Christmas tree farm. When I spotted the candy holiday characters I added those in as well. I had planned on using some Oreo cookie crumbs (blitz them in a food processor briefly) as the 'dirt' under the trees, but somebody in the house ate all the Oreo's, so I had to improvise. 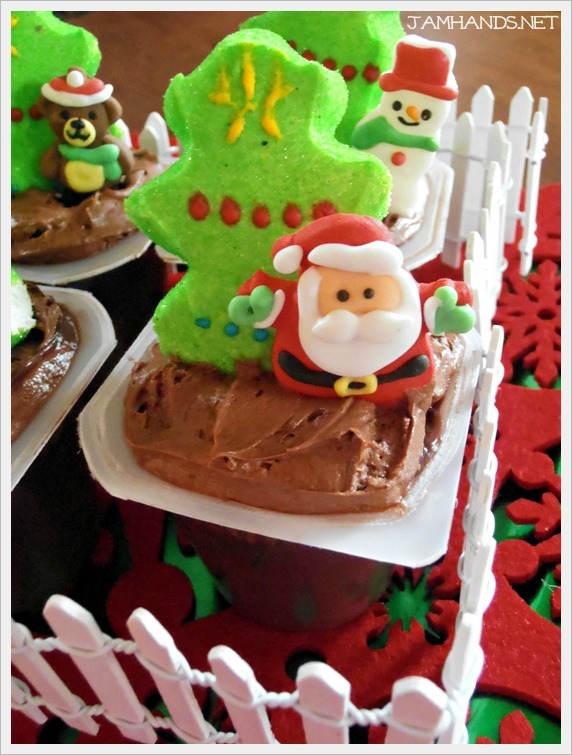 I added some chocolate frosting to the tops of the cups just to fill them to the brim. 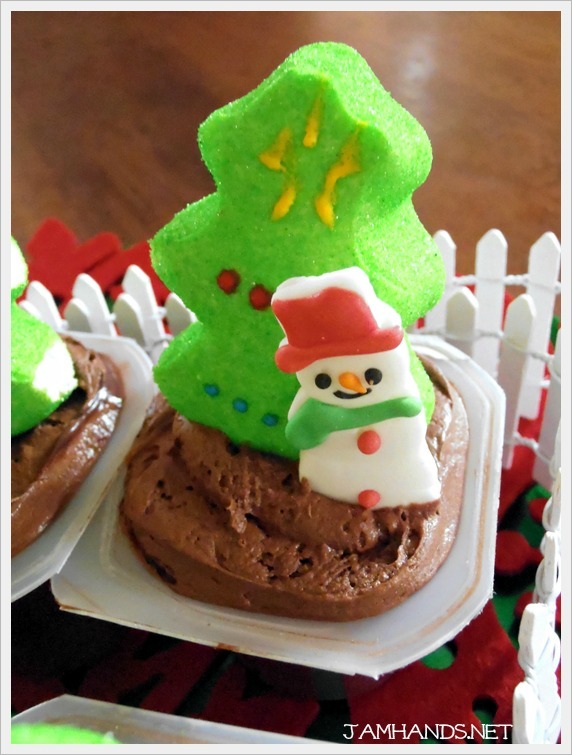 Add a marshmallow peep, perhaps a few sprinkles and a festive candy character and you are set! I have seen this set of candies at Joann's and Michaels. They were $2 cheaper at Joann's for those of you still shopping.